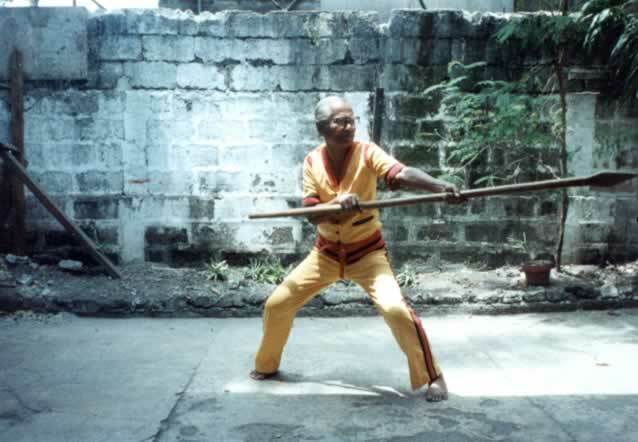 Tom Bisio writes about training in Eskrima in the 70s and 80s with Filemon (Momoy) Canete, one of the late greats of Cebuano Eskrima. Filemon Canete was one of the founders of the famed Doce Pares Club, which taught and influenced several generations of eskrimadors in the Philippines and abroad. This is Part Three of a four-part article. My own research into the background of Momoy’s art, around Cebuano Eskrima, has borne limited fruit. Interviews with Momoy Canete, his brother Eulogio and other members of the Doce Pares Club provided me with some information, but raised as many questions as they answered. Momoy credited the Saavedra brothers as his primary mentors. But when I asked questions about the Saavedra brothers, I could find out very little about the Saavedra family, their prowess at martial arts or their influence on Cebuano Eskrima. Yet, the name Saavedra comes up repeatedly when one talks to many of the old Masters in Cebu. The Labongon Fencing Club eventually dissolved, and from its ashes in 1932, the Canete brothers and the Saavedras founded the Doce Pares Club. Momoy’s brother Eulogio Canete was elected president and Teodoro Saavedra, Vice President. Doce Pares means “12 pairs” referring to a group of famous swordsman in France during the reign of Charlemagne. One of the aims of the club then, and now, is to preserve and propagate the art of Eskrima. 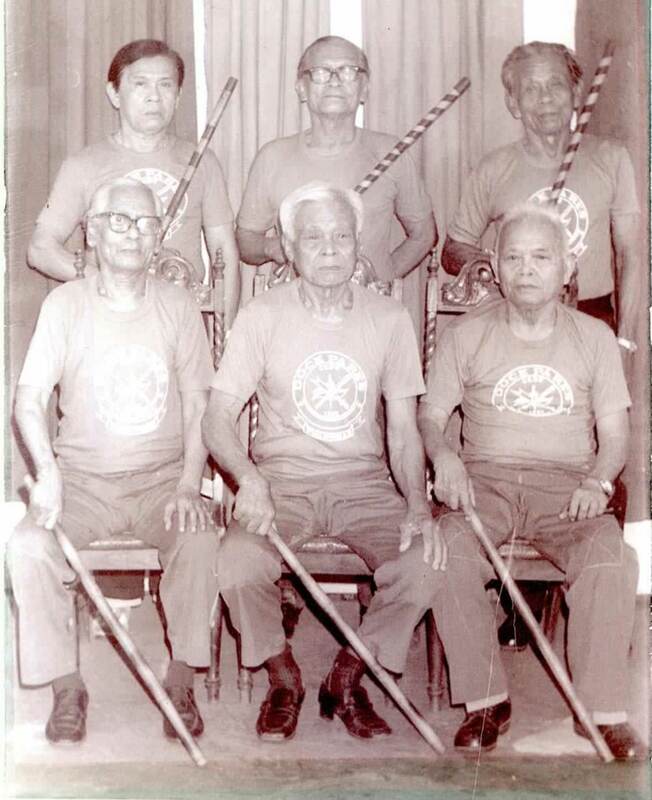 The Doce Pares Club, still in existence today, is the oldest Eskrima club in the Philippines. From these early roots the Canete’s developed their art over decades of training. 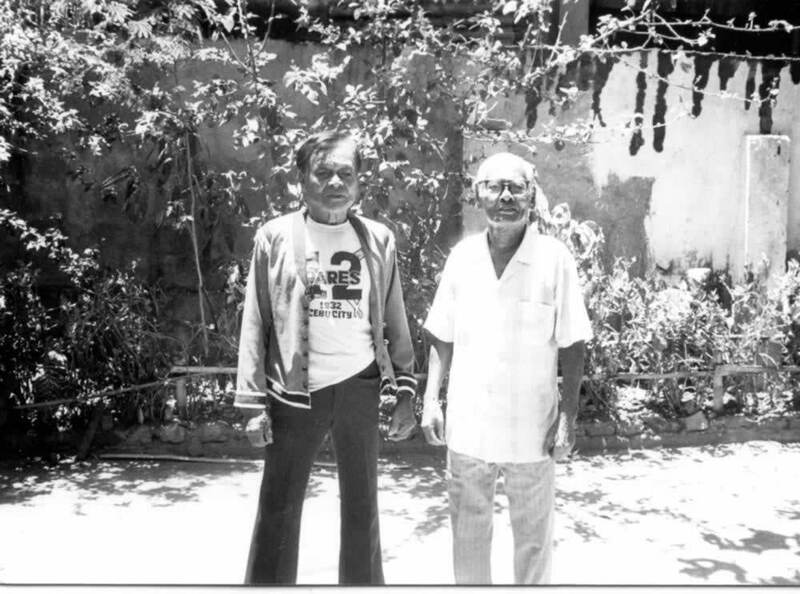 Because many noted Cebuano eskrimadors were members of the Labongon Fencing Club, or the Doce Pares Club, the Canete brothers were able to observe and research many different methods of Eskrima and influence a whole generation of eskrimadors. One of these, Filemon Caburnay, studied with Momoy and acted as his sparring partner. Later he left the Doce Pares Club and collaborated with Johnny Chiuten to create Lapunti Arnis de Abanico. The Canetes went on to study Japanese martial arts, which became very popular in the Philippines in the modern era. Eulogio Canete distinguished himself in Kodokan Judo. Momoy studied and taught Karate, and trained in Combat Judo under Jeseus Cui, while Ciriaco Canete studied both Judo and Aikido. Eventually training in these arts was to some degree incorporated into the curriculum of Doce Pares Eskrima. Ciriaco “Cacoy” Canete developed a more modern style of Eskrima called Eskrido, by blending Judo and Aikido with Eskrima. Momoy continued to teach and develop the classical Eskrima taught by the Saavedras, which had its roots in sword and dagger fighting. Emphasizing the largo (long) and media (medium) ranges, his method employs sophisticated footwork and body positioning coupled with powerful striking and the use of the dagger to create openings and deliver the killing thrust. He created many of the forms and exercises which form part of the Doce Pares curriculum, particularly those employing espada y daga (sword and dagger) or punte y daga (stick and dagger). Additionally, Momoy incorporated other weapons such as the whip and the spear into his Eskrima. Throughout his life, Momoy continued to develop and teach Eskrima. At various times he was a karate instructor and a bus driver. During WWII he used his faith healing abilities to aid Cebuano guerillas operating against the Japanese. He was married several times and had a host of children and grand-children. He continued to teach until his death in 1995. Philippine Arnis Confederation (PAC), 1st National Arnis Championships – Program. National Arnis Association of the Philippines 1979. p. 36. ReneNavarro,Lapunti Arnis de Abanico: The Third Style, Martial Arts Illustrated, Vol. 1 No. 5, December 1998. p. 64.